To da loos: Are you a shower or a bath person? hesitate. I'd say I was 100% a shower person. but lately baths have been screaming my name. So I ask you, what are you? A bath or a shower person or a bit of both? 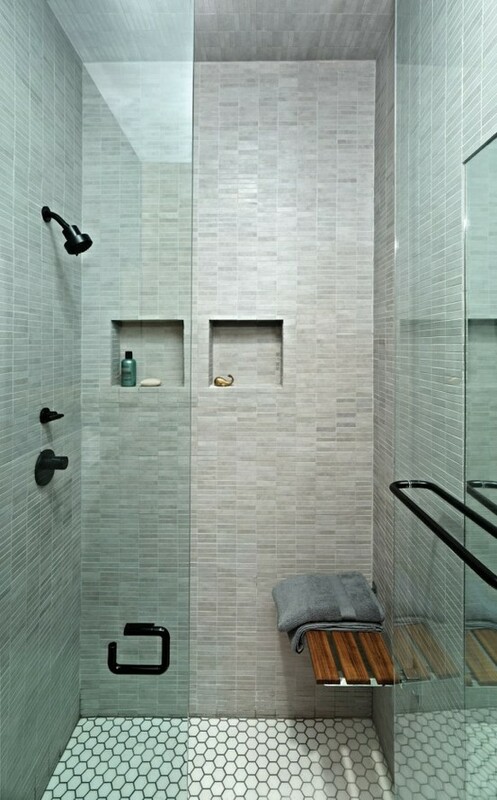 I wish I had a bathroom like those...so inspiring! 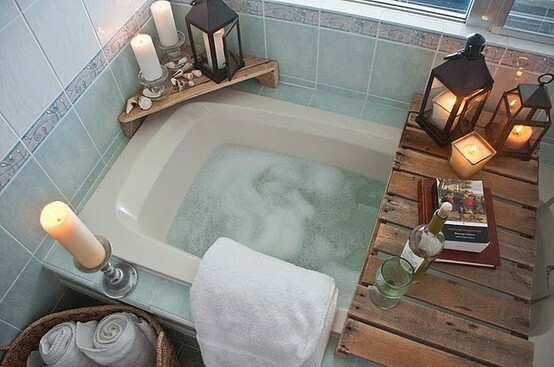 Yeah, I know what you mean, imagine having a jacuzzi bath ahhhh heaven! 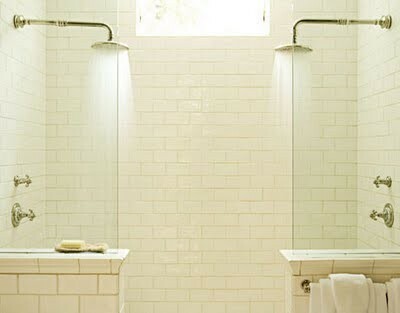 oh i love this blog of yours ~ bathrooms are a love of mine, these are really nice!! Wow, I really appreciate your comment. You made me feel great. Thanks for stopping by and being so sweet! I'm a bit of both! 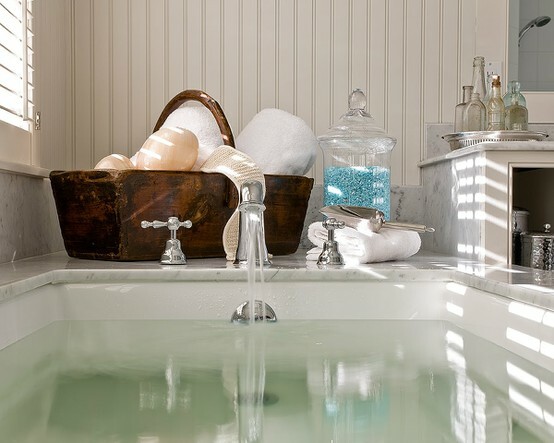 Though I only take time for a true bath a handful of times a year. We're remodeling our basement shower right now. It's just a shower stall - the teenage boys use it. Browsing on pinterest brought me here! Thanks for all the great comments on the posts, I really appreciate it. It's so nice to know what people are thinking when reading the posts and where they have come from. I love pinterest, it's very addictive! If you are looking for any specific photo ideas for remodeling your basement shower, let me know,I'll see if I have any photos of bathrooms that can help. Can you please let me know what the grey tile is in the 6th picture? I'm guessing the 8th is Carrera marble? I am debating putting Carrera in my shower but am worried about the upkeep. I love the look though! I'm sorry that I don't know what the exact tiles in the 6th photo are. I went to a few tile stores around here to find something similar to recommend, but unfortunately I didn't find anything. From the look of it it appears to be small individual baguette shapped marble tiles. 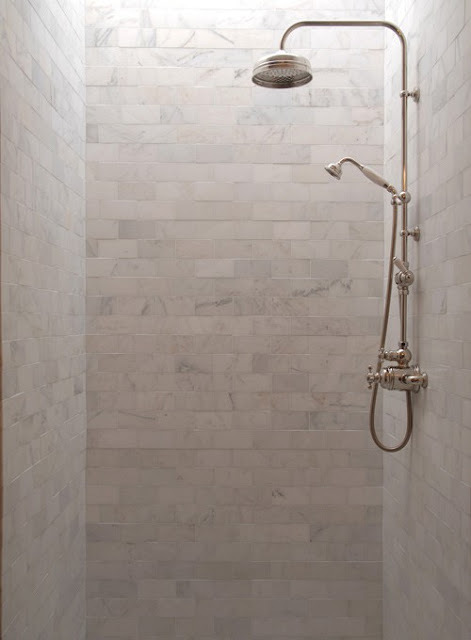 Last year I saw similar marble tiles like this, but in a creamy white marble - they were individually custom cut and ran to around $25/sq ft. Sorry I can't be of more assistance then this.